Dr. Metzler is pleased to announce a very successful and productive Cleaner Greener Timberlane event was held on Saturday, October 29th where staff, students, and administrators from across the school district joined in to celebrate school pride by way of clean up and beautification projects at each of the seven campuses. Families, civic groups, Girl Scouts, Boy Scouts, student groups, and staff members came together with school custodial staff and, with rakes and shovels in hand, spent the morning cleaning up the school campuses and grounds. Local business owner Andrew Borisko, owner and proprietor of AJB Farms in Atkinson, donated 200 daffodil and tulip bulbs to be planted around the district and has further pledged to help with the Cleaner Greener program moving forward. 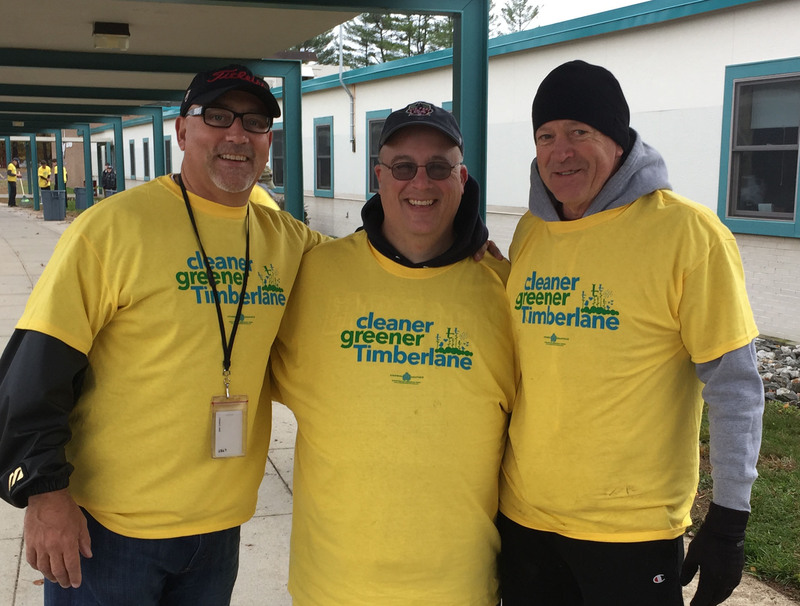 It was a wonderful day of community service around the district and Dr. Metzler would like to thank Mr. Scott Strainge for taking the lead on this project as well as the many individuals who participated and supported this school board initiative.